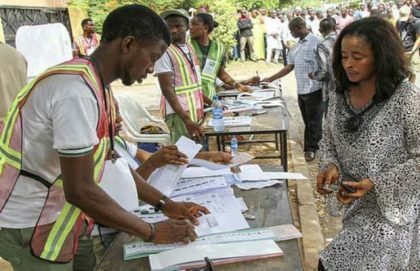 The Independent National Electoral Commission (INEC) in Plateau, has commenced a refresher training for its ad-hoc officials to mitigate against hitches experienced during the Feb. 23 Presidential and National Assembly elections. INEC’s Head of Voter Education and Publicity in Plateau, Mr. Osaretin Imahiyereobo, made the disclosure on Tuesday in Jos, at a town hall meeting on Voter Education. The meeting was organized by the National Orientation Agency (NOA) in collaboration with a private radio station, KT 103.9FM to review the lessons learned during the National elections and proffer solutions. “We received reports that many ad-hoc officials were intimidated at polling units to use manual polling which is zero voting. “All the card reader machines are working, but the ad-hoc officials may not be effective in using them hence the training. The use of the machine would prevent multiple voting,” he said. The INEC official urged voters to be patient with the machines and cooperate with officials to enable them to conduct the forthcoming elections successfully. Mr. Bulus Dabit, the Director, of NOA in Plateau said that the Agency was worried about the number of invalid votes recorded during the last elections, saying voter education was critical to ensure votes counted. “We want to appeal to political parties and traditional leaders to educate electorates on how to vote accurately,” he said. Narrating the challenges of the last elections, the Deputy Commissioner of Police, Akeem Yusuf in Plateau noted that some INEC officials were overwhelmed with some of the challenges they encountered at their various polling units. The News Agency of Nigeria (NAN) reports that participants at the town hall meeting included security agencies, faith-based organizations, Civil Society Organisations, and Journalists among others.